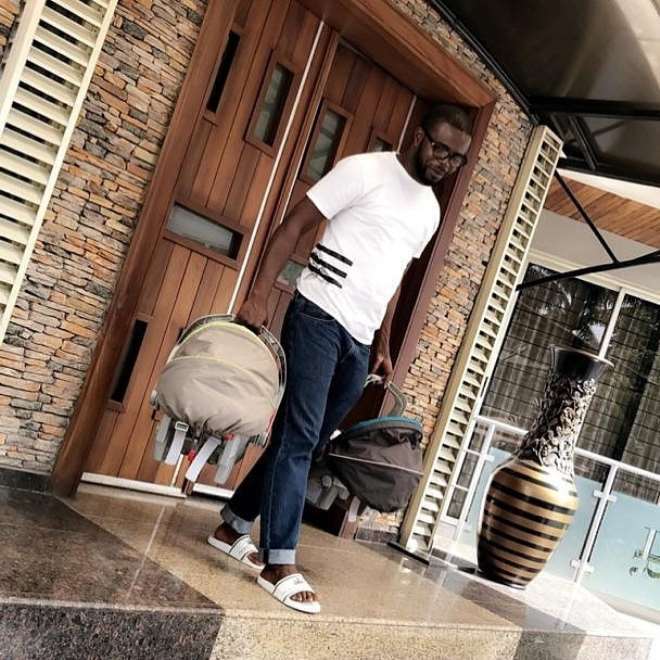 Nollywood actress, Funke Akindele’s hubby, JJC Skillz, has shared lovely photo of himself and his twin boys on his Instagram page and also declared his love for his wife and mother of the twin boys. 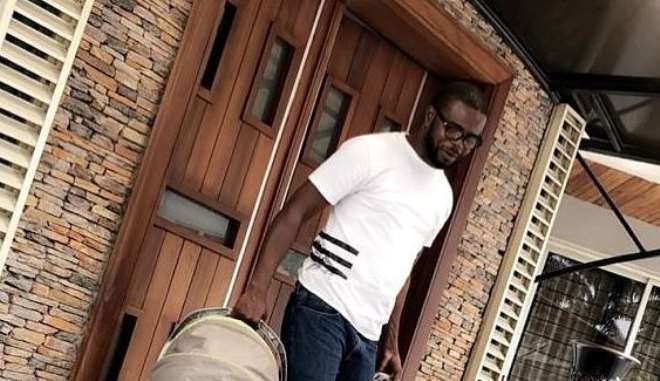 Recall that Funke welcomed the boys last year 2018, her hubby who is still celebrating his boys with his wife wrote, “Isaiah 61:7, Instead of your shame you will have a double portion, And instead of humiliation they will shout for joy over their portion Therefore they will possess a double portion in their land, Everlasting joy will be theirs. #thankgoditsfriday #doublejoy love you my queen @funkejenifaakindele".